Don't miss your opportunity to own this desirable upgraded & remodeled move-in ready home! ALL NEW in 2017 & 2018: Roof underlayment, black S/S appliances, 4'' baseboard, int. paint, fence, garage door & opener, HVAC, cabinet pulls, vanity lights, fans, some windows, slide out shelves & LED lighting throughout. Plus earlier upgrades; remodeled cabinets, PVC landscape pipes, finished attic area, ext. covered patio, all 20'' tile flooring, ext. painted, hot water heater, cabinets/desk in garage, acrylic finished sidewalks & back patio. 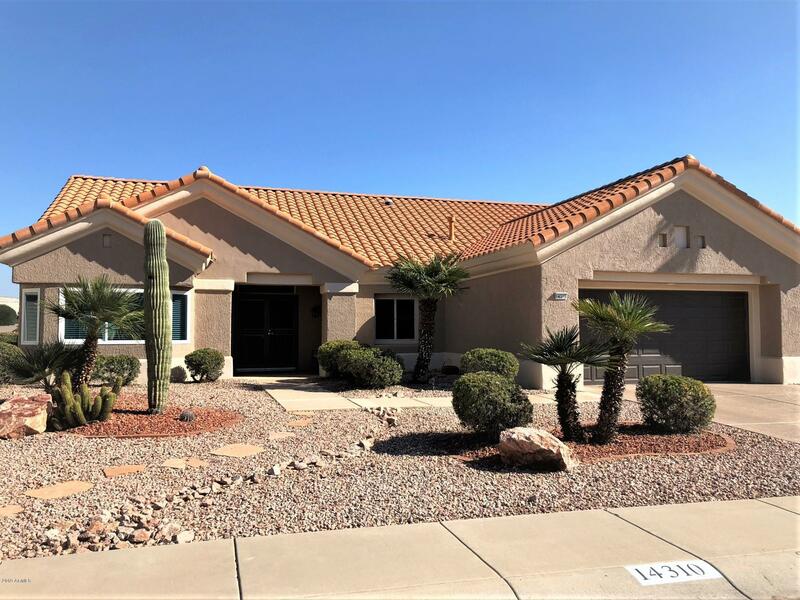 Then add in the popular Chandler floor plan w/the living area extended, in a perfect location, mature landscaping w/orange, ruby red grapefruit, peach & fig trees, no neighbors behind - you have the best of everything! Personally remodeled - NOT a FLIP!